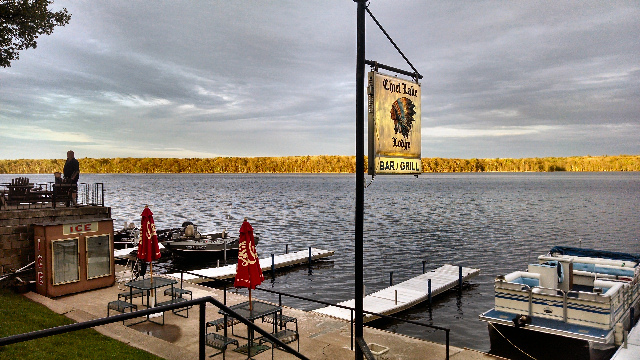 Chief Lake Lodge on Chippewa Flowage is Open! 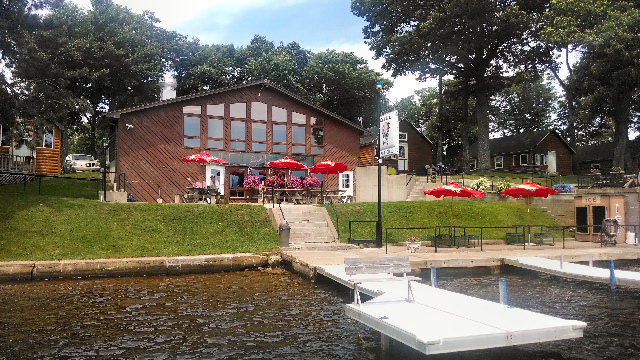 Chief Lake Lodge is a fun destination on the Chippewa Flowage! 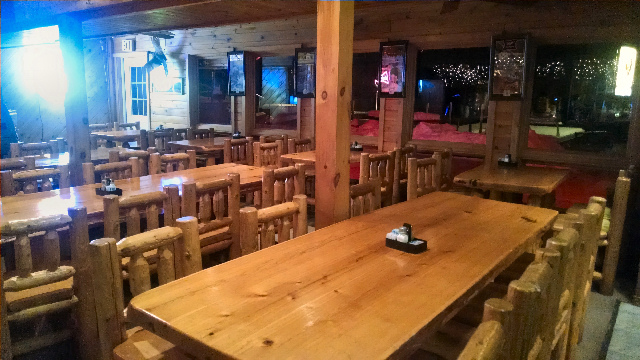 This four-season resort has an active Lodge/Bar/Restaurant, year-round cabins to rent, plus gas and bait for your recreation. 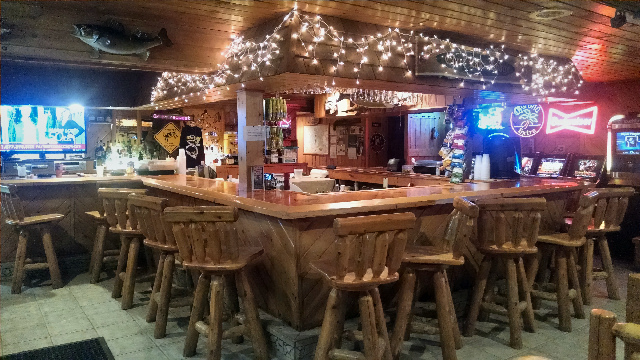 Rudy, the owner, usually closes the bar from mid-October through December, opening back up for the snowmobile season the day after Christmas each year. Even though its winter right now, I had to throw in some summer pictures too; Chief Lake Lodge is a popular boaters’ destination, with their many docks, gas and bait. They have many summertime events including live music and a fantastic Fourth of July celebration! Currently they are open 7 days a week; Monday through Friday they open at 10 am, and Saturday and Sunday they open at 9 am. They serve an awesome breakfast daily until 11:30 am, plus have an extensive lunch and dinner menu and weekend nightly specials; come on Fridays for a generous fish and chicken dinner, and Saturdays for prime rib! 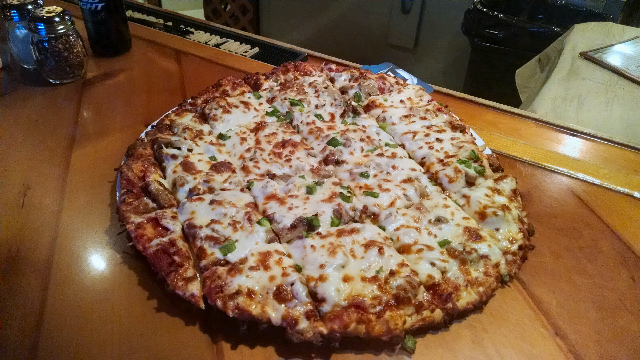 Their pizza is one of our favorites- hand made crust with plenty of cheese and toppings, cooked to perfection! 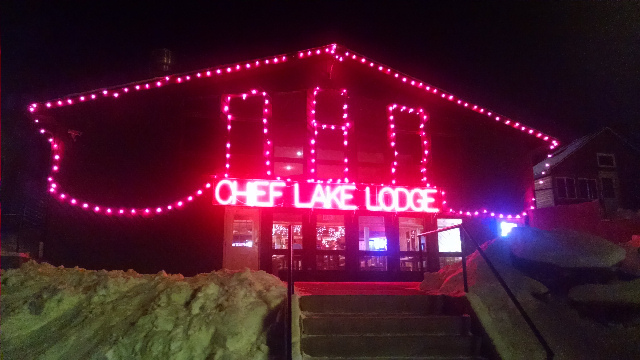 Chief Lake Lodge is an active Sno-Trails member and they are located on Route 9, Stop 54. Stop in for some good food, lively conversation and a great time! This entry was posted in Area Lakes, Boating, Dining & Resorts Hayward Area, Fishing, NORTHWOODS LIFE, Scenic Observations, Snowmobiling and tagged 4-season resorts on chippewa flowage, bait shops on chippewa flowage, bars on chippewa flowage, cabins for rent chippewa flowage, Chief Lake Lodge Chippewa Flowage, Chief Lake Lodge Hayward, gas for sale on chippewa flowage, Good Pizza in Hayward, Great places to eat on Chippewa Flowage, Resorts on Chippewa Flowage, restaurants on chippewa flowage, Sno Trails Club, snowmobiling in hayward wi. Bookmark the permalink.